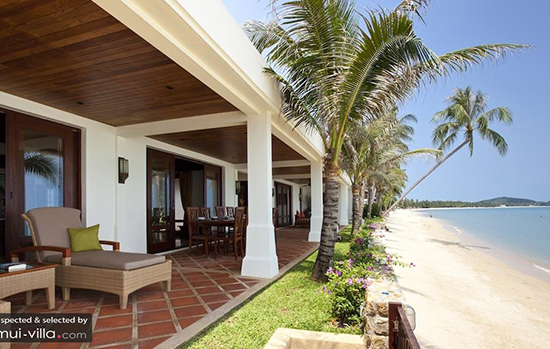 The perfect tropical vacation rental is not complete without the following factors: a prime beachfront location, sweeping vistas of the sea and most importantly, direct access to the golden shores of a paradisiacal beach. 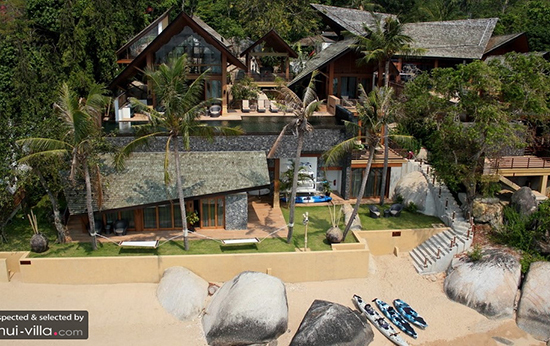 Beach lovers are bound to have a good time when they make Baan Hinta the vacation home of their choice. When you have a flight of steps leading from the garden of the villa to the sandy shores of the beach, any time is a good time to venture to the coasts. 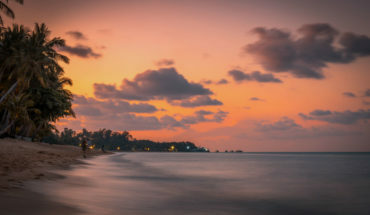 Sun seekers will enjoy frolicking on the shores, while water sports enthusiasts will have a wet and wild time kayaking and paddling out in the sea. Rinse off the sand and seawater in the lovely bath indoors, and give your sun-kissed skin a break from the tropical rays by relaxing indoors in Baan Hinta’s roomy interiors. Guests will quickly settle into an enviable routine at Bacaya Villa. This routine is one that will delight beach lovers, for it involves plenty of sun, sand and sea. Mornings are spent out on the outdoor deck resting against day beds, while a refreshing dip in the pool in a must in the afternoons. The cool evenings provide the perfect time for a leisurely stroll by the beach. Make your beach walk a daily affair, for it will be a pity not to do so when your villa grants you direct access to a fine coastal stretch. In search of an enchanting tropical hideaway? Vacation makers will find their answer in Villa Haineu. Outdoor lovers will want to spend as much time as possible under the cheerful, warm rays of the tropical sun, and there are plenty of snug spots to do so at this villa. Take a dip in the refreshing waters of the glistening pool, or lay back blissfully against the cushiony comforts of the sun beds lining the pool deck. When your skin needs a break from the bright rays of the tropics, venture into the cool shade of the outdoor sala. There, you will find a variety of amenities designed to ensure the comfort of all guests, such as a bathroom, kitchen, barbecue pit and garden furniture. 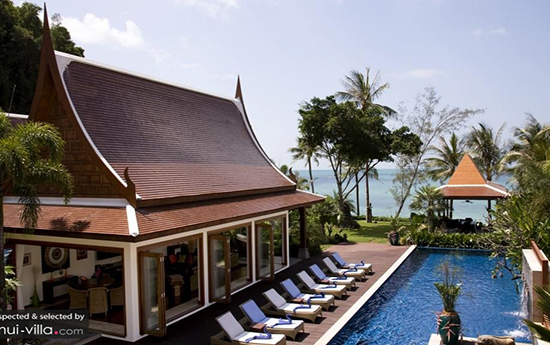 Sitting close to the shores of Mae Nam beach, Villa Hibiscus offers its guests with sweeping vistas of the sea. There are plenty of living spaces for one to enjoy these glorious views. Guests may sit back and relax against the day beds in the outdoor sala, or linger in the refreshing waters of the sparkling pool. Dining al fresco is a non-negotiable option at the villa, for travellers can feast on the scenic coasts while they wine and dine. 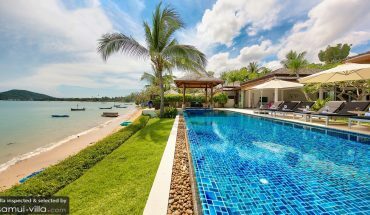 Villa Waimarie ticks all the right boxes when it comes to being a dream vacation home for beach lovers. 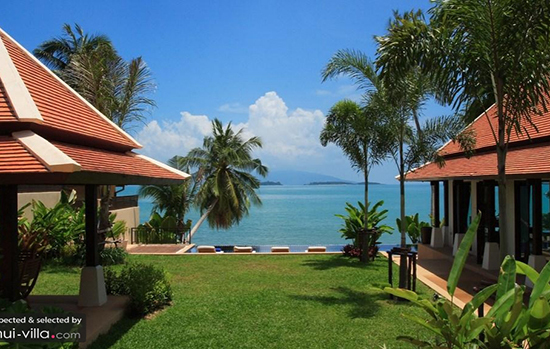 Excellent beachfront location? Check. Alluring seaviews? Oceanfront living areas? Easy access to the beach? Check, check, check. Catch the sunrise in the wee hours of the morning, and frolick on the shores during the day. Travellers with a love for exercise and activity will enjoy taking strolls, practising yoga or embarking on a kayak trip at the beach. During the evening, it is time to retreat back indoors for a round of sundowners by the lovely pool deck. 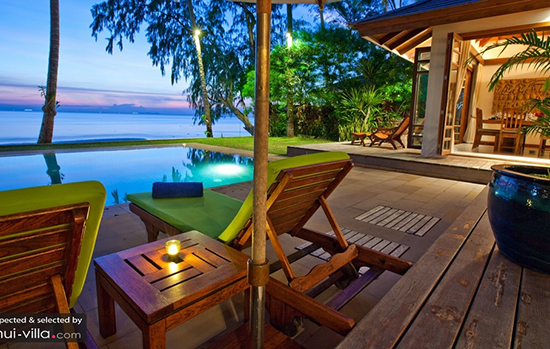 Ah…at Villa Waimarie, life is a beautiful dream! 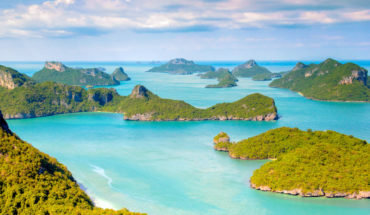 Cycling Tours in Samui: Outdoor Adventures on Two Wheels!